← Master Of The House Teaser…. What a busy and surreal weekend we had. 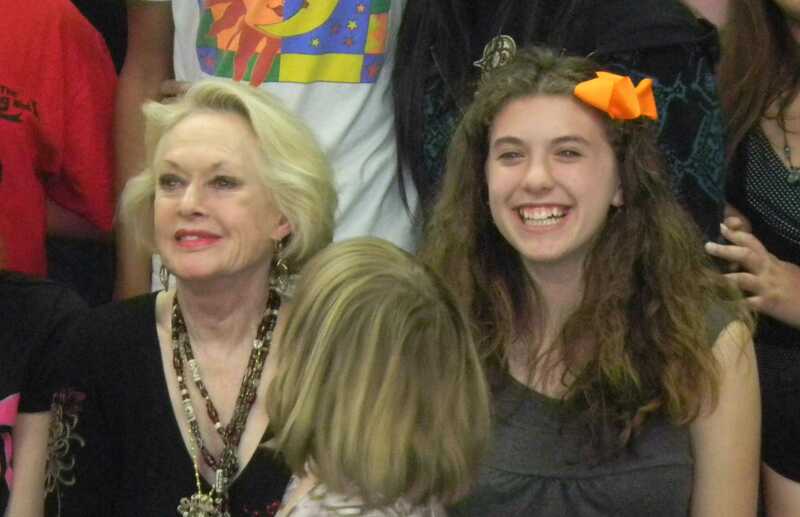 Tippi Hedren came and spoke to the Les Mis kids at their rehearsal this Saturday. Ms. Hedren is an actress who has worked in over 40 films. She is best known for “The Birds” and “Marnie” directed by Alfred Hitchcock. She also started the Shambala Preserve in Acton Ca. Shambala is a shelter for wild animals including abused or abandon lions, tigers, and elephants. She was elegant and gracious and everything a movie star should be. My granddaughter K is a big Hitchcock fan so she was fairly vibrating with excitement all week. 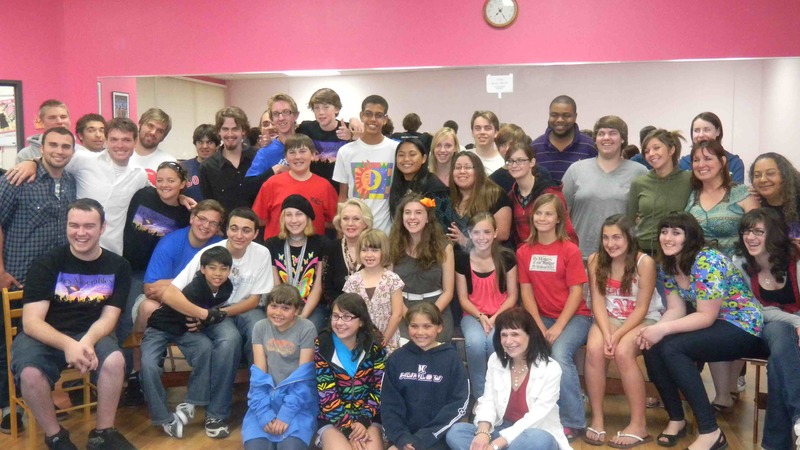 So who is that sitting next to Ms. Hedrin…..K of course. Ms. Hedrin spoke for over an hour and then answered questions and posed for pictures as well as signing autographs. Sunday was my daughter 75’s birthday. I would show you a picture of her but apparently she is shy. So here is the cake instead. I was driving past the Wal-Mart and would you believe it. We are not in Kansas anymore Dorothy. 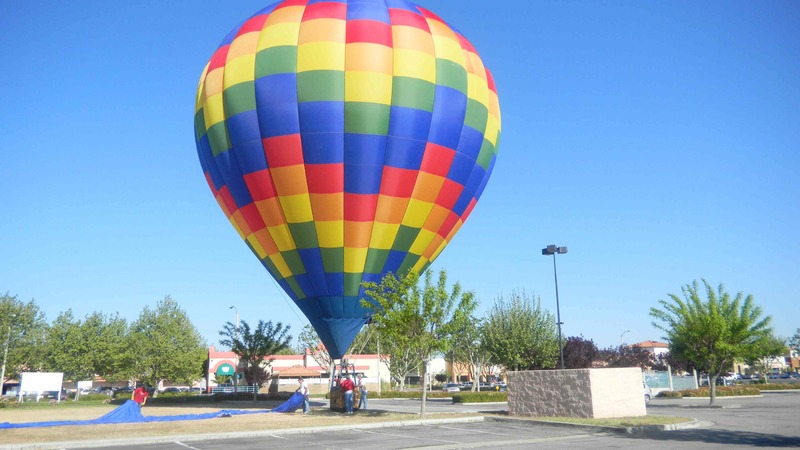 The hot air balloon made an unplanned landing. Good thing it was early and the parking lot was mostly empty and of course that I had my camera handy. This entry was posted in family, life and tagged acton california, alfred hitchcock, birthdays, blogging, blogs, California, children, family, grandkids, grandmas, hot air balloons, humor, kids, life, marnie, mom blogs, moms, movies, my life, opinions, passions, passions and soapboxes, photos, shambala preserve, singing, soapboxes, the birds, tippi hedren, wordpress. Bookmark the permalink. 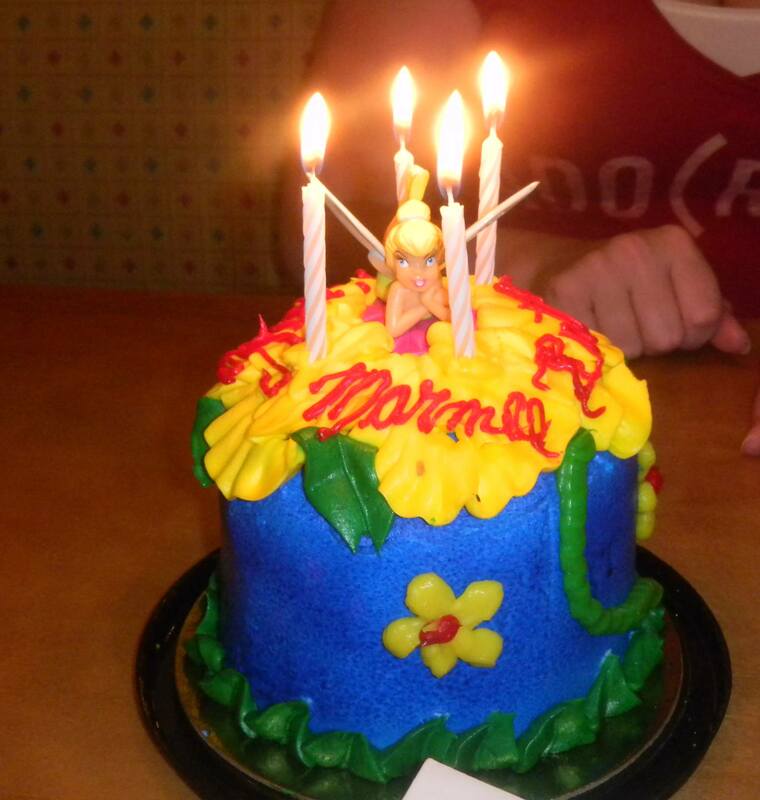 3 Responses to Tippi Hedren…Birthdays…And Balloons… Oh My! What excitement jammed into one weekend! Happy Birthday ’75! And Tippi Hedren? How cool for your granddaughter! Could that smile on your granddaughter’s face be any bigger? !